﻿ Jiangxi Synergy Pharmaceutical Co., Ltd. In 1996, Jiangxi Synergy Pharmaceutical Co., Ltd. was founded in Taizhou of Zhejiang Province. 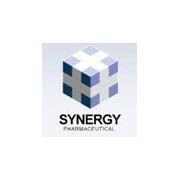 In 2003, Jiangxi Synergy Pharmaceutical Co., Ltd. was reorganized in Jiangxi Province. In 2005, Hong Kong Saniver Limited has joined us with capital stock extending to 8, 300,000RMB. The company is located in the scenic Industrial Park in Fengxin of Jiangxi Province, 55 kilometers far from Nanchang, with the total area of 80,000 square meters, and construction area of 45,000 square meters. Factories of our company were constructed in accordance with the GMP standard, and the facilities were well-equipped according to international API production requirements.